Our professional voluntary health charity is hosting our 20th Anniversary event in Downtown London on Saturday, June 13/15. 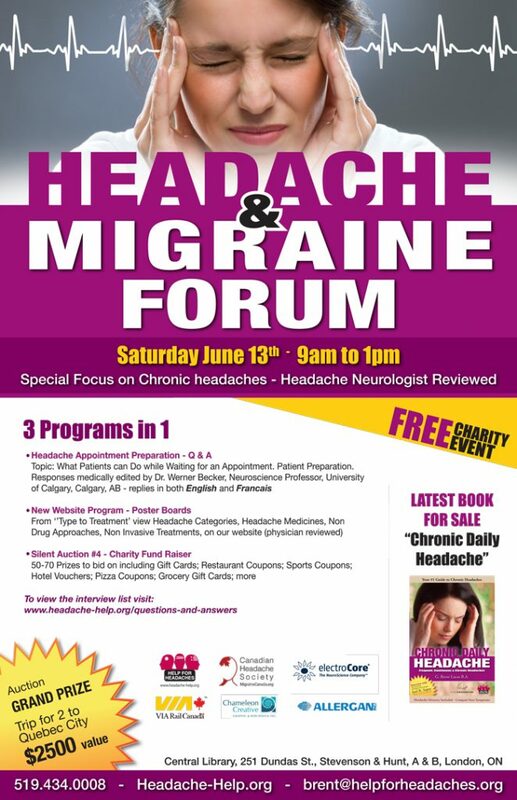 All of our programs are free and online for headache sufferers to access remotely. We are planning an ‘awareness day’ with many new programs. 3. Chronic Migraine Display – Contributions from the American and Canadian Headache Societies; Allergan Canada, Migraine Canada; American Migraine Foundation; others.